Winter rye cover crop planted in September ready for termination in late May. Spring management of cover crops is as varied as the different farming operations across Minnesota. The plan of action any given farmer decides to follow will lean heavily towards two things: his or her reason for using cover crops in the first place and the specific cover crops planted. Winter-killed cover crops should have died over the winter. However, conditions sometimes allow cover crops that would have normally winter-killed to survive into the spring. Seed that didn't germinate in the fall may also germinate in the spring. You also want to have a plan in place for winter-hardy cover crops that need to be terminated for successful cash crop establishment. 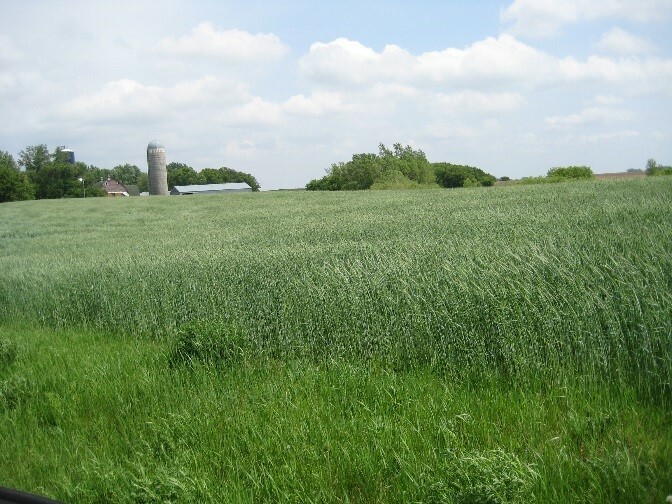 For details regarding spring termination of cover crops, cover crop residue management, and other pointers, see the U of MN Extension article Spring Management of Cover Crops by Liz Stahl and Jill Sackett Eberhart.